In any expanded storytelling universe, some early facts or details are eventually written over for the sake of cemented and clarified rules later. For the MCU, almost the entirety of The Incredible Hulk has been scrubbed and painted over - The original MCU Bruce Banner, his relationship to Betty Ross, the plethora of gamma-enhanced adversaries he left in his wake. It plays more like an uncompelling video game than a cloak and dagger thriller, and the finale is ruined by a CGI Hulk that looks more like a zucchini than Edward Norton. The wisest choice of the film is jettisoning the familiar backstory for an opening credits montage of news clippings and archive style footage that remind us of the broad strokes of Bruce Banner’s story, a clever stroke the MCU has done well to revisit in movies like Spider-Man: Homecoming. In January 2010, I became obsessed with Scarlett Johansson. Her first movie to come out after this time period was Iron Man 2. I was excited to see my new fav gal in a big movie, though I did twist myself into a pretzel justifying why such an insignificant role required a respected actress (Johansson would win a Tony Award a month later). Scarlett Johansson looks hotter here than in other MCU movie (this is the only one that consciously leers at her) but this movie is beneath her. At the time, I had no idea how Black Widow’s role in the MCU would take shape. There are some really fun elements like Sam Rockwell, Don Cheadle, and Gwyneth Paltrow. Robert Downey Jr. continues to be a riot, but vulnerable. Iron Man 2 sequel is messy and it spends too much time laying the foundation for upcoming sequels, but the action and the dialogue are really fun. I had a lot of fun watching Thor: Ragnarok, but I couldn’t help feeling a little bit scorned by the ditching of much of what had come before. During Thor, I had come to love the goofball characters and somewhat underwhelming plot line where Thor is inexplicably trapped on earth, and I loved how The Dark World revisited those characters while actually giving us a good feel of Asgard. Thor’s personal story matured along with his relationship to Jane (Natalie Portman) and his brother Loki (Tom Hiddleston), who appeared to have turned a leaf for awhile. While the storytelling improved, so did the visuals, leading to one of the most awe-inspiring visuals in the series, the elegantly simple floating truck. There are certainly better stories told throughout the MCU, but the Thor movies have remained a favorite of mine for their sheer creativity and fun. Natalie Portman, Kat Dennings, and Stellan Skarsgård’s characters are delightful and unlike any others throughout the rest of the MCU. Thor’s relationship with Portman’s Jane is my personal favorite in the series (although it unfortunately seems to be in the past now) and Skarsgård’s Erik has been a reliably wild comedic presence popping up throughout the universe. And that’s without even mentioning the best villain that the MCU has, Thor’s despicable snake of a brother, Loki (Tom Hiddleston). Hiddleston’s performance is wonderful, his appearance always an instant jolt in the arm. Plus, it’s directed by Kenneth Branagh, which is just cool. Ant-Man is largely carried by four details: the novelty of the shrinking/growth tech via Pym Particles, the performances of Paul Rudd and Michael Peña, and the structuring of the story as combination origin/heist film. The tech presents a then-new powerset to the MCU, allowing for comedic play with scale for its set pieces (a train fight taking place on top of a Thomas train set, which in a missed shot grows to hilarious scale, is a major highlight). The Pym Particles’ inclusion also raises the personal stakes for Scott Lang (Rudd) every time he makes use of that tech, until he figures out how to use that scale to his advantage. Rudd and Peña performances also carry a lot of the film, as Rudd’s affable screen presence combined with Peña’s gung-ho, enthusiastic fixer characterization provide a core relationship that allows both to play off the other for beats comedic and dramatic. Mostly comedic, though. Ant-Man’s structure as a heist, however, provides the most novel addition: save for a Black Widow solo film (still waiting on that one, by the way), no other character is as well-suited to a grand old-fashioned smash n’ grab story like the story of a man who rides insects. Scott Derrickson’s addition to the MCU is, appropriately enough, one of its weirdest entries. Doctor Stephen Strange’s (Benedict Cumberbatch) journey from ultra-rich and stuck up surgeon to reality breaking sorcerer for good is a visually dazzling one. You are not going to find more mind-bending special effects anywhere in the MCU, and they are unquestionably what sets Doctor Strange apart. Besides that, the film is a great time without breaking the tried-and-true formula, and adds a slew of great side characters. Baron Mordo (Chiwetel Ejiofer), The Ancient One (Tilda Swinton) and Wong (Benedict Wong) are all exciting characters, and Mads Mikkelson’s Kaecillius is one of the MCU’s coolest villains. While not as highly regarded as its predecessor, Avengers: Age of Ultron is a sequel that serves to display the darker side of its primary construct, in essence deconstructing its primary heroes and causing them to reflect on their powers and abilites against an omniscient threat. Ultron, a computerized, sassy cyborg created by Tony Stark declares war on humanity, and with the aid of twins Quicksilver and Scarlet Witch, disassemble the Avengers. The ideas and concepts surrounding this chapter are atypical for a big superhero film, and there’s a real sense that director Joss Whedon attempted to go above and beyond in his storytelling prowess, aiming to make “The Godfather Part II of superhero movies”. While there are moments where the film certainly comes to a halt in service of character exposition, there are still several great action setpieces throughout that make it one of the more interesting and compelling films in the MCU. Based entirely around the concept of family, both inherited and found, Guardians of the Galaxy Vol. 2 builds upon the first mainly in its relationships. Those relationships get played for laughs as often as they do for drama, and it’s incredibly effective because of that. Families are just likely to make you laugh as they are to make you cry, and Vol. 2 has that baked into its script from the beginning. Every argument this dysfunctional, found family has is loaded with insecurity based on fear of loss: Rocket argues with Quill over who’s better at being a pilot and/or criminal. Gamora and Nebula literally try to kill each other over who Thanos liked best. Yondu conflicts with basically everyone over his long-ago decision to first kidnap, and then keep, Quill with the Ravager squad he captained. And also, Hasselhoff cameos on the film and soundtrack. While this soundtrack is not as full of first-ballot all-time AM radio classics, Vol. 2’s is still a great selection of tracks. But it’s Yondu who puts this all into relief for the team, and it’s his sacrifice that allows them to get over it and come together by the end of the film, a found family bonding over shared loss. Perhaps the most fun movie in the entire MCU, as it undertakes a wacky, comedic vibe for a good chunk of its story, Spider-Man Homecoming gives us the best incarnation of the titular webcrawler to date, alongside a Peter Parker trying to awkwardly deal with the same dilemmas and frustrations that most high schoolers go through. It also gives us a strong villain in The Vulture played by Michael Keaton, a man striking against the system that wronged him as a direct result of The Avengers’ actions. Homecoming more than made up for the unimpressive Marc Webb era of Spider-Man, bringing Marvel’s signature character into the fold where a great number of possibilities lay in store for future installments. 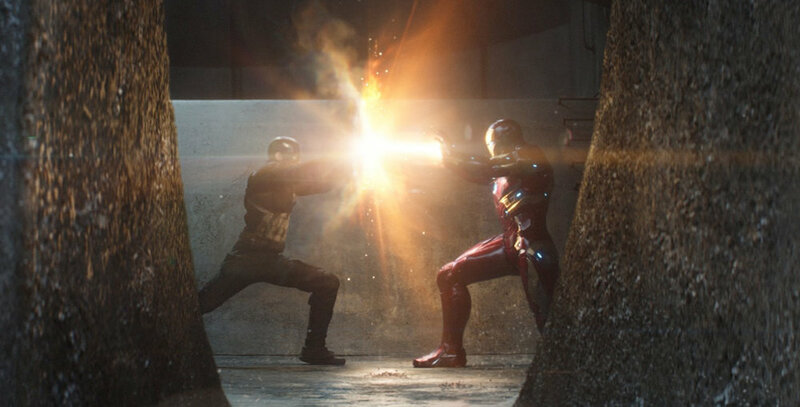 Dubbed ‘Avengers 2.5’ by many fans, in terms of the vast array of characters which populate its story, Captain America: Civil War partially adapts the 2004 Marvel event series of the same name to place Iron Man and Captain America in square opposition of each other, as Cap attempts to learn more about his brainwashed bud Bucky Barnes and the experiments which turned him into the Winter Soldier. Civil War also gave us our introductions to the new Spider-Man (Tom Holland) and Black Panther (Chadwick Boseman) who are both sure to be major forces in the MCU following Avengers: Infinity War. A huge superpowered battle set in an airport runaway where two teams of heroes duke it out is the most iconic moment of the film, yet its the final battle between Iron Man and Captain America that has the most memorable emotional stakes. How did the Thor franchise bounce back from the dismal second installment, The Dark World? By burning everything to the ground. Taika Waititi’s Thor: Ragnarok is a neon pinball machine of a movie, colorful, hyper, and joyous. As new villains Grandmaster and Hela, Jeff Goldblum and Cate Blanchett give smirkingly delicious performances, and Tessa Thompson’s hard-drinking Valkyrie is that rare cinematic unicorn, the loveable female rogue. And yet under Ragnarok’s sugar-coated exterior is a potent subtext about colonialism, which is all the more important in the film where Thor finally meets his destiny as a warrior king. 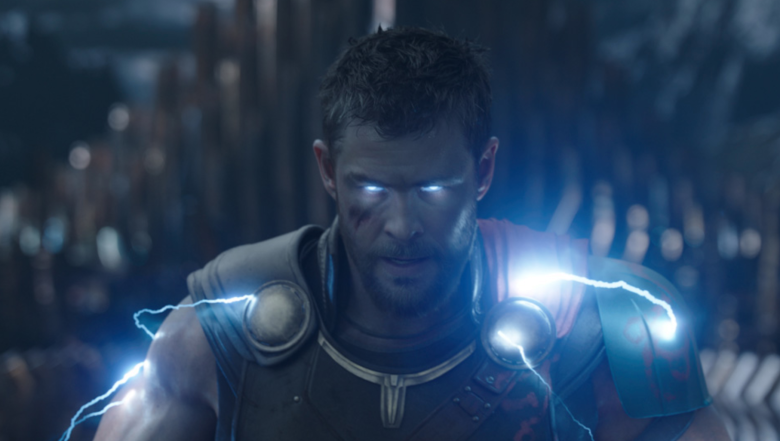 By razing Asgard, Thor: Ragnarok also accomplishes something that the long-running serialized comic books cannot: it gives its hero a sense of meaningful, lasting change. “Immigrant Song” is now playing in your head. Forever. All it took was casting Robert Downey Jr. as Tony Stark to make the Marvel Cinematic Universe into one of the most successful franchises in history—at least that’s how it feels like in retrospect. Downey certainly helped, but let’s give credit where credit is due: Iron Man director Jon Favreau was vital in helping jump start Marvel Studios into what it is today. Casting is key, as the movie is filled with prestige—in what might have been throwaway roles, Gwyneth Paltrow and Jeff Bridges don’t phone it in, as Favreau’s indie filmmaking approach to rehearsals certainly shows. 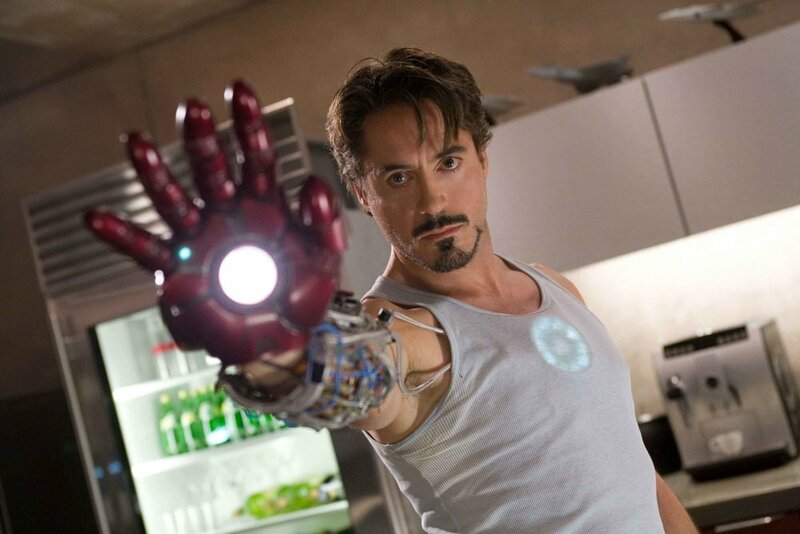 More than any other superhero movie previous, Iron Man zeroed in on character. What makes Tony Stark put on that Iron Man suit? Why become a superhero? In a world of more well-known heroes like Batman, Superman, and Spider-Man, it’s incredible that this movie turned an admittedly second-tier comic book character into a household name. It all boils down to how well Favreau and company made us care about our hero, and eventually we’d care about the bigger universe he’s a part of. All the initial reporting on Guardians of the Galaxy seemed like Marvel was just flexing: The screenwriter of Scooby-Doo is making a movie about a group of heroes with D-grade public appeal (at best) and he’s cast the doughy 6th lead from Parks and Recreation as it’s leading man? And then the initial Comic-Con teaser, with it’s generous layers of 70’s pop-rock and a mission statement like introduction of the central cast, including an inquisitive talking tree and a racoon with a gigantic attitude problem, took over Hall H and bootleg streams alike. Anticipation was off the charts, and the final product delivered a technicolor daydream of a space opera, like the cover of Boston’s self-titled album come to life. It set the bar for the larger universe (sorry) of the MCU’s cosmic adventures, introduced and moved forward the core aspects of the coming Infinity War, and laid the groundwork for grand family drama in Guardians of the Galaxy Vol. 2. In many ways, this potential oddball and it’s initial skepticism created the best Star Wars movie we had since 1983 … for a few years, anyway. Setting the table for Phase 2 while giving us one final solo adventure of Tony Stark: Charming Rogue, Iron Man 3 is a chocolate covered Trojan horse of director-driven storytelling in the MCU. Shane Black makes a spiritual sequel to his beloved Kiss Kiss, Bang Bang, upping Robert Downey Jr.’s already off-the-charts charm as he deals with the traumatic effects of PTSD following the Battle Of New York. It’s a dense screenplay of verbal sparring that exceeds several well orchestrated action scenes, and addictively rewatchable through the film's complete upending of The Mandarin's long time status quo. Steve Rogers seems like a hard character to explore. He’s morally upright, he’s often unflappable, and he can be a Boy Scout. In this film, however, the character finds new depths by discovering a world where no one is sure what’s right or wrong. Taking cues from 70s paranoia thrillers, Captain America: The Winter Soldier gives the superhero genre a taste of political intrigue and has everyone questioning their loyalties (including the Captain himself). The hand to hand fights are brutal and exciting; the choreography is some of the best in the MCU. The friendship between Cap and Black Widow is platonic but flirty, and their scenes together prove that they are perfect foils. Anthony Mackie, Samuel L. Jackson, and Robert Redford support them with vivid, interesting characters. The bond between Steve and his pal Bucky provides the emotional backbone, giving the film its resonance and staying power. The productions have only gotten more lavish as technology has improved over the last ten years, but I always come back to one of the earliest when it’s time to pick favorites. When I left the theater after seeing it for the first time, I was convinced I had seen something special, the same way I felt after leaving Spider-Man 2 and The Dark Knight, and it wasn’t until years later that I figured out why. Chris Evans is perfection, but it’s Steve Rogers’ journey, from scrawny nobody who wants desperately to help his country to buff superhuman who can actually act on his saint-like ways, that truly inspires. He’s the kind of hero that you want to hope for, the kind willing to jump on a grenade if it would save even one stranger. You take the 10-year-old formula first developed with Iron Man and you hire one of the best directors working today take the helm of a superhero who will help guide the next 10 years of your franchise, and you end up with a movie that’s bigger than Titanic. Ryan Coogler’s Black Panther once again proves Marvel Studios knows what they’re doing; not only was the movie a hit with audiences and critics, it became a cultural event. A perfectly cast lead, one of the best on-screen villains ever, and a compelling story certainly helped, but the unmistakable factor that makes Black Panther important is representation. There’s a reason why many people who wouldn’t go out to see a superhero blockbuster went out to see this superhero blockbuster. Whether those same people go to see Infinity War remains to be seen and is frankly irrelevant. Black Panther is already a rally cry, not only as standing as one of the best in the MCU, but a hopeful sign of things to come in Hollywood. payoff in the climax as the titular heroes engage in lengthy combat across New York City. It’s the key to the entire Marvel Cinematic Universe; the uniting element that comes to represent the best of its qualities, whether its impeccable action, feats of heroism, or any number of it’s instantly quotable dialogue exchanges. The Avengers is rightfully a superhero classic, with its influence changing the very state of Hollywood blockbuster filmmaking forever. How would you rank the Marvel Cinematic Universe? Leave us a comment below or tweet us at @TalkFilmSoc. Be sure to stay tuned for all of our MCU coverage in the coming days, with our Avengers: Infinity War review dropping this Tuesday!